Chef Teresa Stearns was born in Sacramento, CA and raised in both San Francisco and Seattle. She worked as a baker for several years in Berkeley, CA before attending the Culinary Institute of America in 1995. After graduation, Teresa moved back to Seattle and worked at the #1 rated Rover’s Restaurants under Chef Thierry Reautureau. She then moved to Eureka, CA and worked as the Sous Chef at Hotel Carte, recipient of the Wine Spectator’s Grand Award. In 1997 Teresa moved to her husband’s hometown of North Conway and soon opened her first restaurant at the historic Bernerhof Inn right here in Glen, NH. After 4 years at the Bernerhof, Teresa and her husband Scott purchased The White Mountain Cider Company. Though Scott doesn’t work here, he is also a CIA graduate chef and makes guest appearances here in the White Mountain Cider Company kitchen. The Stearns’ two sons share their parents’ love of cuisine and are often seen around the property. The White Mountain Cider Company consist of 3 buildings: A seasonal fresh cider mill, a gourmet deli with to-go meals (which is currently under construction after a devastating fire) and the award-winning restaurant. 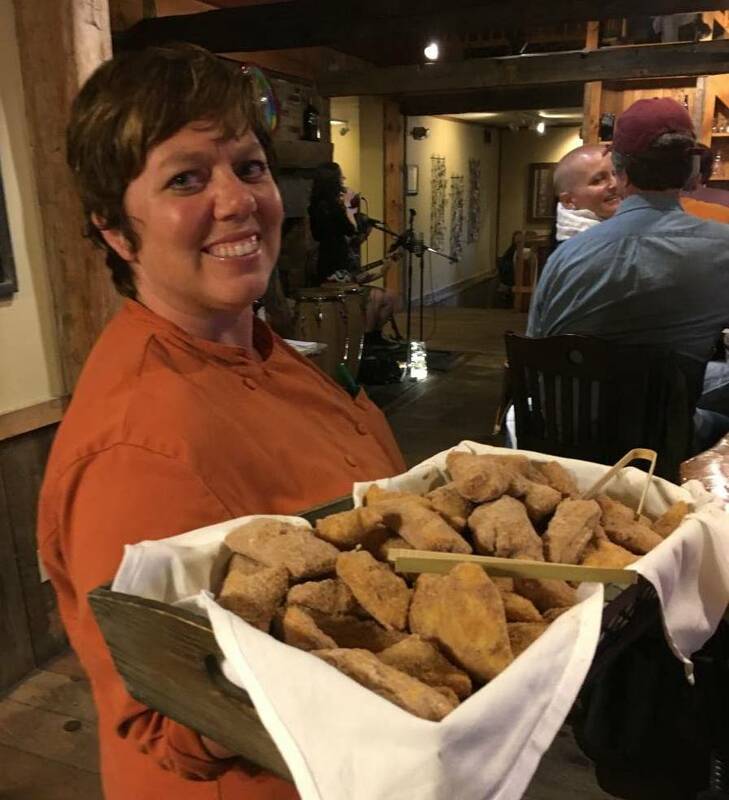 In previous years Teresa has been featured as one of New Hampshire’s Best Chefs by Union Leader, Yankee Magazine and was given the New England food critic, Phantom Gourmet Platinum Plate Award. Currently, the White Mountain Cider Company is in the top 10 dinner choice awards for Boston/New England area. I have wanted to try this place for awhile and it did not disappoint. All three of us were very pleased with our meals. Atmosphere was terrific, very rustic; but comfortable. The food was on point and service was excellent. Hope to be back! Trust the reviews guys. If you're up in the area and looking for a nice dinner, this is top game in town. We stopped here for dinner based on overhearing fellow travelers raving about it to our innkeeper. I am happy to say it was every bit as good as they claimed!